Travelling with your four-legged friend this summer? 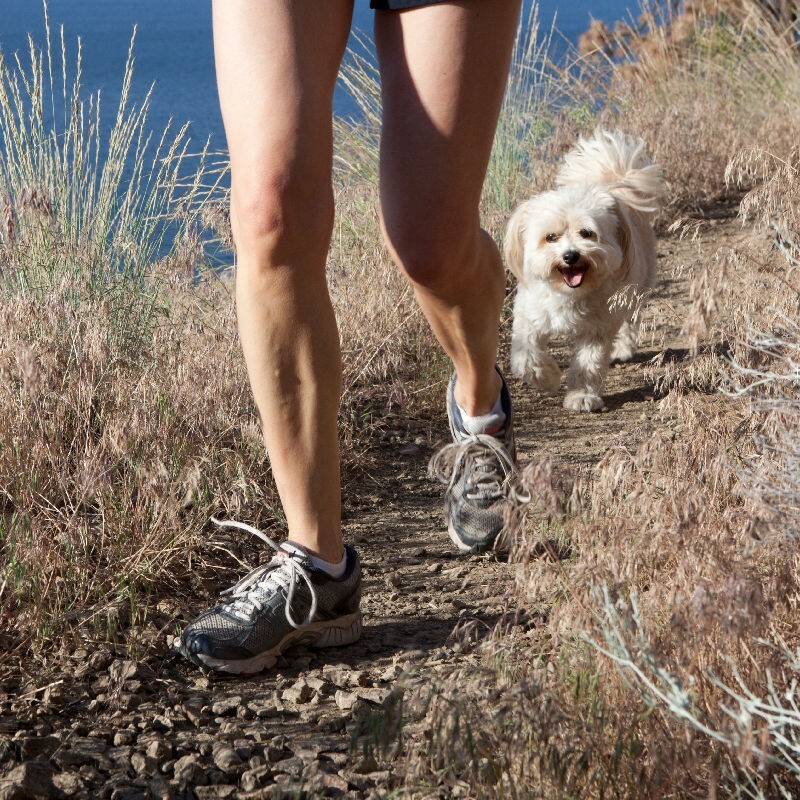 Check out some of West Kelowna’s dog-friendly parks and trails! 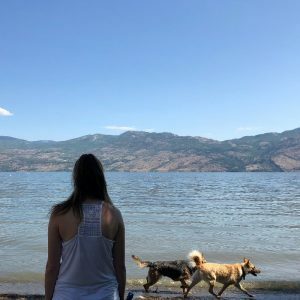 A majority of West Kelowna parks and trails allow dogs on-leash, while there are 3 off-leash dog parks for your dogs to run around or take a swim with the hot summer temperatures. Don’t forget to bring your dog their own water bottle! Westbank Centre Park: 2569 May St. The Westbank Centre Park is home to the Kids Care Spray/Water Park, a Community Garden and an off-leash dog area. The park has benches and picnic tables for you to enjoy a lunch in the park along with a large grass play area beside the spray/water park. Shannon Woods Park: 2490 Shannon Woods Dr.
Shannon Woods off-leash dog area is open year round. This area also has a community garden with plots for rent as well as a field for soccer or football. Bring a ball or your dog’s favourite toy and enjoy a game of fetch. Gellatly Dog Beach: Bottom of Gellatly Rd. & Boucherie Rd. A beach area for off-leash dogs to have a dip in the lake. There are benches and picnic tables to use during playtime with your four-legged friend. There are two designated dog beaches in this park. When they are not in the designated areas, dogs are welcome but must be on a leash. Memorial Park: 3737 Old Okanagan Hwy. Memorial Park is adjacent to the Johnson Bentley Aquatic Centre and is home to the Annette Beaudreau Amphitheatre. Take in the free Music in the Park concert series most Friday nights during the summer. Eain Lamont Park: Lakeview Cove Rd. This extinct strata volcano offers a stunning panorama view of most of Kelowna and West Kelowna from two different summits. Rose Valley: 1805 Westlake Rd. Visit Rose Valley Regional Park for a variety of biking, hiking, and dog walking trails. Enjoy the natural hiking trails in a Ponderosa Pine/Douglas Fir forest with beautiful views of Okanagan Lake from the top. Glen Canyon: 4262 Gellatly Rd. Glen Canyon Regional Park provides a variety of experiences from an easy walk/hike on the historical flume trail to the steep and more challenging trails. Choose trails that are anywhere from 300m to 2.3km with varying degrees of difficulty. Mount Boucherie Park: East Boundary Rd. Year-round walking/hiking trails provides amazing 360-degree views of Okanagan Lake and the Central Okanagan region. The popular Boucherie Rush trail is a great 6km round trip to take your furry little friend on, with a picture perfect view at the top! Lakeshore and hillside trails, make this a popular park to hike in. Anders Park: 860 Anders Rd. Anders Park is centrally located in the Lakeview Heights Area of West Kelowna. A playground is available year-round along with seasonal washrooms, tennis and pickleball courts and a sport court for ball hockey. Pritchard Park: 4098 Pritchard Dr.
Pritchard Park is located in a quite waterfront neighbourhood that provides access to the lake, volleyball court, picnic tables, benches, playground and a seasonal washroom. This park is suitable for families with small children as the park and beach are fenced in and provides a covered picnic shelter with tables. The park also has a grassy play area, a playground and a seasonal washroom in close proximity. Willow Beach: 4111 Gellatly Rd. Willow Beach is one of West Kelowna’s best waterfront locations. The park provides benches, tables, a volleyball court, parking and a year-round washroom. Dogs are not allowed on the beach but are allowed on-leash on the grassy area and walkway.